Robyn Logan untangles the jargon and process around Coach Certification. Robyn Logan discusses the different certification options, such as ACSTH, CCE and ACTP and then looks at how they relate to the different applications for coaching. And, lastly, she looks at what we consider to be vital considerations for anyone considering coach training. Our coach training programs are accredited with the International Coach Federation (ICF). Coaching is a global profession and the ICF continues to be the most established and globally recognised peak body. Not only do they provide high standards and competencies for coaching and coach training, clients also want to know they are employing someone who has been through a rigorous training and accreditation process. Accreditation indicates that a school has had its program undergo rigorous external scrutiny and quality testing by a peak body. The curriculum is mapped across core competencies, with the faculty, assessment and learning processes all assessed. Program accreditation at International Coach Academy include ACTP, ACSTH and CCE’s. Certification is a globally recognized statement of attainment that indicates you have been assessed by an Accredited Coach Training Provider as having the industry recognized skills and expertise required to practice as a coach. A credential designates a recognized level of expertise in coaching, as assessed by an industry peak body such as the ICF. This is represented by designations such as ACC, PCC or MCC. If you want to discuss certification and accreditation and see what program is best for you, please speak to one of our program advisors who will be happy to talk to you about your particular situation. “Welcome to everyone from around the world through our Coach Certification Call. The first thing I want to talk about is a coach accreditation certification and where it belongs in the bigger picture. Coaching is a global profession and it’s unusual and it’s different to other professions. For example if you’re going to be a physical therapist, you would just go to your local college or university and do a degree of physical therapy and you would work probably locally in your neighborhood. Coaching isn’t like that, it’s a global as most coaches coach on the phone or using zoom or a platform like that. Your clients don’t have to come from your local area they can come from anywhere around the world. That’s the first thing to know. The second thing to know is that when you’re choosing accreditations and if you’re an education provider like we are and you’re wanting to set up a coach training program (we have students from around the world, 90 countries and counting) ff that’s the case, choosing a regional accreditations framework would make no sense. So we chose to align ourselves with the ICF for that reason. We could have aligned ourselves for example in Australia as a RTO or Registered Training Organisation but that would work only for Australians. The other day when I was looking out information’s for this call. I stumble across a Wikipedia entry for higher education accreditations like coaching and coaching degrees and coaching certifications, and coaching courses, they all belong in the higher educations. I know there are short courses that could perhaps be a lower level, post-secondary, but generally most of the students that we have, already have one or two degrees and have been professionals for ten-fifteen or twenty years. So this is equivalent to a college degree in Canada or France and most of these countries have government accreditation bodies. What their role is to be a quality watchdog. Their role is to make sure that the quality of the programs being delivered is actually delivered, and that the graduates that leave the programs are leaving with what they were told they were going to get. And they have a whole of range of systems set up to manage the quality across providers. So governments have moderations process where the course running in this university can be balanced or check against the courses in that university. In fact, the United States is the only country that doesn’t have a government-run body. The point that I am making here, is that there are so many accreditations bodies and I know this to be true because we sometimes get students asking the questions about the coach certification how they might fit in with a course they might be doing in the. So my answer that is that we have aligned with the ICF which is a global peak body, and we did that because we have students from around the world and because coaching is a global profession. The other reason we did that is that when you study with us and you study under the umbrella of the ICF International Coach Federation that within this context is a peak body. A peak body gathered likeminded professionals from around the world who were also interested in the same thing, creating an education accreditations body that set standards for qualification. But the ICF does more than that. They also are interested in growing a profession. When you study in a university or college you’re in a context of academia so you are studying within an educational system. That means that you’re in a classroom next door to the people doing the degree or taking the degree in physical therapy or the degree in leadership sports management you’re all sitting in that context in that building. And any credits you get or changes you want to make are all within that education system. The people teaching you are academics and academics with qualifications and experience with their area. So if you are aligned with us and with the International Coach Federation (ICF), our teaching and our curriculum and our program sit within the context of a global world professional body of coaching. This includes professional networks, country and city chapters, and professional development activities. 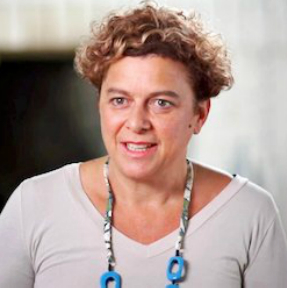 The connections you make can happen between people across the countries and effort goes into developing quality frameworks that are very specific. The trainers and the people involved with the ICF are all coaches and they come from a background of coaching. So that just briefly describes the framework that we sit in. So that is why we chose to align and be accredited by the International Coach Federation (ICF). That wasn’t an easy thing to do as it’s easier to become a registered training organization in the regional system. With the ICF it can take one to two years to become accredited and in fact, you can’t apply till you are already running training. You have to demonstrate that the competencies of your program align directly with the competencies of the ICF. The ICF has a lot of core competencies and we have to demonstrate to them how our curriculum teaches those competencies. We also have to demonstrate how our trainers meet the qualifications and experience selection criteria in order to deliver the training and demonstrate that they a certain level of coaching ability. We also have to prove that every year. There is an auditing process that happens and there is also random auditing where we have to submit the journey of a single student right from the very beginning of the program all the way through to graduation and show that they have met the program requirements. It is for those reasons are we aligned with the ICF and we continue to support this professional peak body and we continue to support the competencies they have set. But it doesn’t mean we don’t have feedback for them. That’s normal. 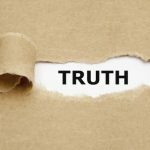 Every training school probably has those same issues around the world and depending on where they are and what market they training in those issues would be different. But at the end of the day, we firmly believe in supporting a professional peak body and we think that those coaching competencies are the best available to tech against, learn against and practice against. And that brings me to our next point which is, why the ICF? Because that is just one set of competencies and there are other accrediting bodies to coaching around the world with their own competencies. There’s the IAC, there’s Worldwide Association of Business Coaches (WABC), I think they are the main ones and then, of course, there’s some regional ones. The IAC International Association of Coaching began as a spinoff from the ICF years ago and the core difference with the IAC is that they list certain proficiencies. They are not time-dependent (as in you have to have a certain number of hours of coaching before you can call yourself a coach) or practice dependent (someone has to assess that you demonstrate the proficiencies in your coaching) so it’s just the competencies. I think they are called principles, but they are also good indicators of quality coaching. You don’t have to do any training you can just come straight in and if you demonstrate those principles you pass and you can coach. The difference with the ICF is that there’s a requirement that you invest the certain number of hours not just into the training but also into the coaching. You are required to demonstrate that you actually had a coach and I think that is a really important thing. I see it here as well as around the world coaches who are just calling themselves coaches but have no training. And I am not here to judge because there are many definitions of coaching but what they are doing I would call mentoring. Coaching is different to a person who says “well I’ve got 20 years of experience in this field and I’m going to coach other people now”. Often you find in business coaching. Business coaching is an area where people who’ve been in the business feel they have a certain amount of expertise and they set themselves up to help other people in a business. I will call that a consultant and mentor but they call it coaching. And that’s completely fine it happens around the world. The sort of coaching that we are talking about and that we train is for people who want to become professional coaches and have a qualification that is recognized by organizations and individuals around the world. You know there’s not many companies now who will employ an internal coach without checking to make sure that they have ICF credentials. Compared to when we started seventeen years ago, now the ICF has become standard. So that’s some context from where we belong and why we belong with the ICF. I am just going to talk briefly about the different levels of ICF credentials. A Certificate is a piece of paper that is issued by an educational institution anywhere. It can be a university, college or private provider like us. And that piece of paper tells people what course you’ve done, how many hours it included and who it was with. And that’s a certificate. And everyone who comes to our school will get issued with a certificate for their program depending on what program they enrolled in. A credential is a level of training. A credential is a degree versus a diploma or a masters and a PhD that’s a credential in the education system. In the professional world, credentials can also be things like doctors. Doctors will get a credential when they joined their professional peak bodies which in Australia we called it AMA Australian Medical Association. And in order to do that they have to submit evidence of rigorous training, practice a whole range of quality insurance things. The same applies to coaching. 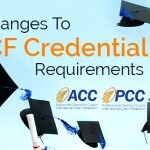 There is also a credential which is issued by the ICF and there are three levels ACC, PCC and MCC. The ACC is Associate Certified Coach, PCC is Professional Certified Coach and the MCC is Master Certified Coach. And each of those levels requires a certain number of hours of training and a certain number of hours of coaching. To get that credential you apply directly to the ICF. And then there’s Accreditation. 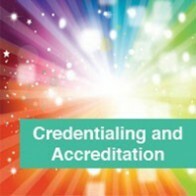 Accreditation is something that belongs to schools or colleges or educational providers, not to individuals. So for us, we submit our program to the ICF and it’s the program that is accredited (ie meets the standards and guidelines set by the ICF). So we ICA the school is not accredited, it’s coach training programs that are accredited. We have got a few programs accredited and each one we went through the rigorous process as I mentioned earlier. So that’s the difference with the credentials issued by the ICF. So the question then for coaches is which course, which credential? And maybe even the other way around which credential which course? The master certified coach MCC belongs to coaches who have been coaching for many many years. You are required to have a ridiculous number of coaching hours something like two thousand. The ICF ACC credential requires 60 hours of coach specific training. There are two pathways to getting a credential. The quick and easy one is straight through having been trained with the school that’s already accredited. There is another pathway called the portfolio part. And if you haven’t enrolled in an accredited coach training program and you’ve done for example a coaching degree at the university as part of the organizations psychology degree or organizational change degree you might have done some coaching. You can apply with the ICF to have those hours recognize as coach specific training but you have to prove how those hours met the ICF competencies. So you have to go and do the work yourself that took us two years to take that pathway can take a little longer to get. So to be credentialed as an ACC you need to have coached 100 hours. For PCC Professional Certified Coach credential you need 125 hours of coach specific training and you need 500 hours of coaching. Finally, as an MCC you need 200 hours of training and 2,500 hours of coaching. We have aligned our program with these credentials but it’s important to know that we haven’t created them for these credentials and that’s something to look out for. I think that we are pretty fortunate that our school has a curriculum designed by educators where education was first and foremost. We don’t design the curriculum purely around assessment or competencies. Our courses have been designed with our students in mind. We know who our students are, we know the sorts of career paths that they take, we know the areas that they work in, we know about their lives, we know that most of our students are adults were very busy who have one or two degrees and are trying to juggle their training with either with work or family. We designed our courses around them and we have made sure that they match against the competencies and make sure that it is a pathway into the three credentials. 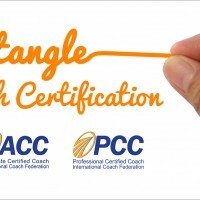 The certified coach training program is aligned with the PCC credential but so is the advanced coach training program. And in fact I would recommend even if you are going to go with ACC first (you can get a hundred hours of coaching pretty quickly particularly in our certified program because you can use your peer coaching hours to count for some of your paid coaching hours as the ICF has a clause where they accept pro bono coaching for certain percentage of the coaching required and hours includes the peer coaching) so even if you planned to do that, we designed our training our mentor coaching and our assessment tasks around the PCC level. The ICF chapter map, I found these the other day and it’s really a great visual for how global coaching is. You can see there’s a concentration in the United States because that where the ICF began. It’s a pretty impressive list of chapters. Fifteen years ago the ICF was struggling to get members in other chapters around the world not because there weren’t coaches but just because of the effort required the local level in terms of organization and systems. But you can see now that there are really are coaches in every country around the world. Even in Asia, India, Philippines, Korea, Singapore and here in Australia. So that’s my rundown of certification accreditation and credentialing. 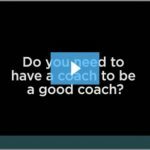 Do You Have To Have A Coach To Be A Good Coach?